Wholesale Solar carries a range of high-quality battery chargers for off-grid, battery backup, RV/Marine or just about any other application. Today’s advanced battery chargers work with a wide range of battery technologies (lead-acid, AGM, gel, li-ion) and include built-in safety and protection features to keep your system reliably operating for years. Most off-grid systems rely on a backup power source when the sun and wind is not adequate. Almost all of our off-grid customers are using solar power with a generator backup. A generator ties into an off-grid system through a battery charger. Larger off-grid systems will typically use an inverter/charger which includes a high quality battery charger integrated into the inverter. An inverter/charger can eliminate the need for a separate battery charger. However it can still be useful to add another battery charger as a backup, or when using a modified sinewave generator with sensitive electronics. 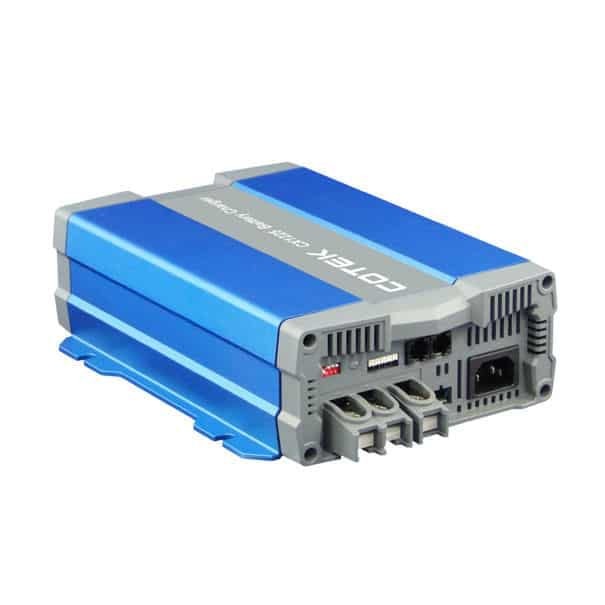 Battery chargers are necessary when your off-grid inverter does not include a built-in charger (such as Cotek’s line of high quality sinewave inverters.) Check out our selection of inverters.